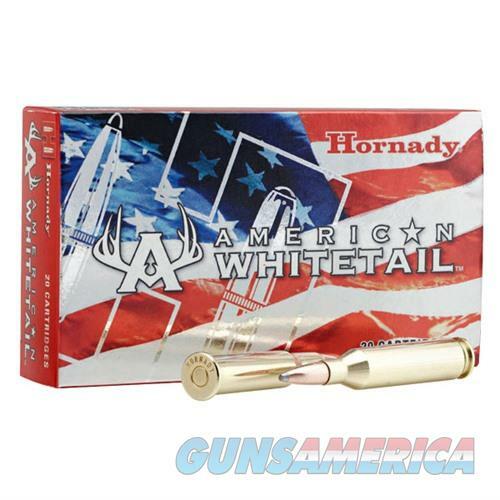 Description: Hornady 8144 AMERICAN WHITETAIL AMMO 25-06 REMINGTON 117GR INTERLOCK BTSP Opening day of deer season comes only once a year. Make sure you're ready when the big one steps out and load-up with Hornady? American Whitetail? ammunition. Loaded with our legendary Hornady? InterLock? bullets in weights that have been deer hunting favorites for decades, American Whitetail? ammunition combines generations of ballistics know-how with modern components and the technology you need to take the buck of a lifetime!